Ten Eritrean football player who arrived in Botswana with the national Eritrean team to play in the African qualifying matches for World Cup 2018, have absconded and sought political asylum in Botswana. 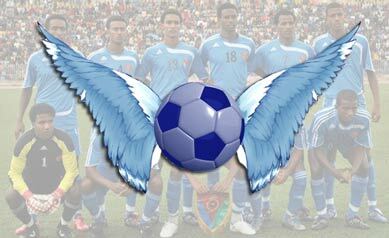 The Eritrean football team, “The Red Sea Camels,” had lost 3 to 1 against Botswana in Tuesday’s match. The team is made up of players from the Diaspora as well as Eritreans still under the national service regime that is applicable to all Eritreans ages 18-40 for indefinite periods, sometimes extending over ten years. The Diaspora players have indicated their willingness to return home, though they do not live in Eritrea and carry foreign citizenship. Most Eritreans who find an excuse to travel overseas usually prefer to remain behind to avoid the repressive situation at home. Travelling outside Eritrea is very strict, particularly for the youth, who escape out of the country braving the border areas where guards operate on shoot-to-kill orders. The Eritrean delegation was composed of 24 people, including administrators. Eritrean sports has been marred by defection of athletes for years starting with the defection of six athletes in Edinburgh in 2008. In 2009, a dozen athletes defected to Kenya, followed by a defection of an entire team in Uganda in 2011. In 2012, there was yet another defection of an Eritrean team in Tanzania. In 2013, half of the Eritrean team defected in Angloa. Hi Awate family somebody should translate this to Tigrigna. this is what discribes what is going in Eritrea. i hate losers. hey AT i miss you too. lol how do you extract advertisement or solicitation out of that. lol cool, have it your way. i think you are getting a little bit sensitive. i thought it was very timely and telling subject. that is cool. No entiendo en absoluto. Por favor, comparta el código cifrado. I am sorry for your loss; may your mom rest in peace. Ah, Albert Camus book, “The Stranger.” Depending on which version of the translation you got, the first sentnce values because there is no perfect translation for the French “mama ” (my mom? Mommy? Mother?) In the audiobook, they keep the word “mamman died today.” Hope you liked it; it’s from the existential school, a French specialty. Again you are being cryptic: I have no idea what you are referencing Robel Afwerki, Teddy Afro, circa 2007 no less. If it is related to the forum, back in the day, if stuff made no sense, it was sent to the recycle bin (our moderators were no-nonsense then) and it might as well be in the black hole now. New development on the Eritrean football players in Botswana is thanks to the big effort shown by EMDHR (Eritrean movement for democracy and human right) now the high Court of Botswana decided their case will be opened on December 15. That means they will not be deported (at least until December 15) as the Justice minister of Botswana wanted. The good thing is the ball is now in the hands of high court no longer in the hands of that minister. Botswana is one of few countries in Africa that considered as a democratic country. It is strange that one of their minister as such Justice, security and defense minister uttered such word deportation without due legal process. It is basic human right that anybody can ask asylum. Then if the case is accepted or not is another thing. EMDHR really did a good job by hiring a good human right lawyer right after the incidence and follow the situation closely at the spot. Indeed It is a good news for the poor young footballers.. Now their 15 minutes fame is over, they have to wait until December 15th. in a Botswana police station before they start the long process of asylum applications and perhaps resettlement processes to leave Botswana i.e. if they are lucky. When they decided not to return to Eritrea, they became stateless and no longer Eritrean citizens. it is also a blessing in disguise for the Eritrean Government, they are not a problem to worry about them. As it is known Eritrean policy on is not to accept those who are deported against their will. Eritrean community radio in Australia is reporting that seven Eritrean cyclists from the South Zone, (ie they compete in “Zoba Debub”), have crossed over to Ethiopia and asked for political asylum. I hope this will be an awakening to those who have dismissed every worrying sign from Eritrea as an aberration or induced by external factors, without pause to ask: what is the government doing wrong to chase off its most productive citizens. And, importantly, is unconditional, uncritical support encouraging the government to continue on its destructive path? By now it should have been clear to you. “Winners come home and losers run away from Eritrea”. As you reported it they run away from their national military duties and you make them heroes? If the news is reported by Awramba Times, then these kids will never see a bicycles let alone to ride one instead they will spend chasing immigration papers for the rest of their fruitful lives..
Now, when did I call the kids “heroes”? What I said is something is really rotten in Eritrea and the N5T* attitude is not helping. I am sure Mrs. Sheila Kutaruth? is desperate to keep her high paying UN job, and development of Eritreans news in recent months Tour de France, Beijing Olympics and Richmond, Virginia have shredded her CoIE report. So she is desperate to organize a demonstration in NY and looking for a fresh news that could paint Eritrea in the darkest possible ways. All those stories of footballers and cyclists defections are false fabricated stories reported by Awramba Times type of journalists. ERITV never reported them, therefore as far Eritreans are concerned they are not true stories. If Miss Shella is looking for additional ammunition, she got plenty just in the past few weeks. Starting from demhit defection followed by emergence of General Bitweded’s powerful testimony, followed by defection of 10 players and their coach, and now we are hearing about these seven cyclists. Not sure if true but I also heard a cyclist defected at the Richmond race. For the time being, Shella’s job security is guaranteed. She has the permission for overtime too. If she doesn’t mind working on weekends. All false stories about Eritrea will disappear as smoke in the air or dissolve like salt in the ocean without a trace. “Eritrea never kneel down”. Always Awet Nhafash! Sheila Keetharuth’s job will not be finished until the ringleader Isayas is brought to face justice. In a previous rendetion of this discussion (aka Hlmi Derho), you had indicated to me that even if news is not reported, if it is reported by East Afro, it is as if Eri-TV reported it. It was also reported by Tesfa News AND the Minister of Information (and, therefore, boss of Eri-TV), Yemane Gebremeskel and you are still maintaining it is not true? Thanks for the clip, I remember reading it long time ago. It was nice reading it again. Thanks also about your concern but don’t worry about Dawitom, dawit is very smart like the biblical dawit. I think you should worry a lot about my bad cousins SEM and TES who always go on tangent on every AT stories. I cannot help to zip my mouth but interject! Dawit already told you that he was joking ! Is asking the eligible Cyclists to to flee Eritrea simply coz they were called on for a DUTY? AK-47 at the age of 75! I am not justifying the endless National Service but particularly focusing on the well politicized defection of the Soccer Team and now the local Cycling Team! With all due respect,how in the world would the cowardice defection of 7 out of a thousand Cyclists indicate the gravity at home beyond what we know thus far! I think the Noble Cause should be to further push to bring back the National Service to its Natural Course by doing more on the COI rather than encouraging the Youth to run away for cheap political gains and propaganda ! the latest development (i.e. the absconding of members of the eritrean football team), i think, strengthens the refugee status of eritreans, who are forced to flee their country due to the dictatorial regime. when people, who are in a much better position, compared to thousands of their compatriots abscond, it indicates the inhuman nature of the situation under which people are forced to live. therefore, some european countries who try to doubt the eligibility of eritreans as refugees, should revise their erroneous position, and they should not deny eritreans refugee status. These people reach european shores after an odyssey characterized by tremendous dangers to their lives. in addition, the heart wrenching pictures of drowned syrian children, we see almost on a daily basis now, shows the insensitivity and the moral failures of the governments of developed countries for allowing things to come to this horrible situation. what i fail to understand is that if europe is ready to accept more than 20m syrians, instead of resolving the syrian problem, so that people are not forced to leave their country. 2. Knowing that Sports fanaticism is even greater than… The head of heads I. A., after witnessing the shining of tho one and only legitimate King of The Mountain in Eritrea-Daniel Tekhlehaimonot, in order the “Nina bay folks” to detest Sport Heros in Eritrea and only love HIM I.A. The one and only Eritrean hero and vanguard of the nation- I.A. Himself gave the order for the Ten to defect OR else. (I am still having dark thoughts how envy may have been the motive of Abraham Afeworkis mysterious death at such a young age especially after the Sawa concert. —- Also, I have always suspected that it is PFdJ’s economic strategy to sell the Yosiefs of Eritrea into slavery in order to take bread to the Don Head of heads much like the 11 Israelites. So if 1 is true watch out Pfdj and heads and if 2 is true wellllllwe will have plenty more traumatized zombies of Eritrea doing their respective Adi’s Zarr mugraE just to get sweets from the ferrenji: trick is it or treat? Trick or treat…. Way zemene may grimbiit may leAQeb???? No no no… I had it right in 010110 binary equaling 22 in base ten: “it is a catch 22 damned if you don’t damned if you do. Perhaps Saay can share with you guys my article on aware.con on 1/1/2010 010110 when I declared that I Am Ali Salim… Come on Saay my third bridge option is coming right to you buddy. Mets beat the Dodgers ask aya Hidrat about Dewight Goodwn’s average 1+ k every game in’86. Sports figures overpaid right???? Head of heads bruzed ego by KOM D T.
Huh? What are you saying? You are hard to follow? So the camels have wondered off. You know camels are loyal to their abode…ranch or as we call it Shefer ሽፍር (ትርግርኛ፡ ደምበ). If camels wonder off their feeding grounds, there is a big problem. And a good camel HERDER, like me, would do a radical change: Dismantling the usual ways of doing business and figuring out new approaches. Now, I have been searching for the camels in the deserts of Kalahari, Sahara and in between. I heard some camels made it to Europe, just to write waraQet TaEsa because the climate became unbearable to them. Some of those camels showed up in Stadium Asmara with out prior notice. Back to the essential question. What would a good camel breeder/owner do. Well, get it from the experienced camel herder. He would fire the camel boy. Therefore, I fire the good for nothing Zemede TeKle and his Sports Commission entourage. Asmarinos: please fire them. Hire young people who could read the minds of these young athletes. You could do this. Because it’s your support and your money. You can not let the government drain you dry of your resources year after year. If you go further, that would be superb. But let’s start with the firing of this inept commission which is full of lackeys who have not kicked a ball, or may have long forgotten kicking one. Hire professionals. Go Asmarinos, you can do it. I always wonder, why do they do the same thing year after year. I mean don’t they see/feel it? What’s the use of sending teams after teams just to return back thinned down or even empty-handed? Well, it could be the stubborn “Nkhid Traay” or “let’s move on” motto. I know there are a lot to talk about the root cause, but let’s begin with a small step. Fire Zemede and his commission. Aha, this Zemede, the ambassador, he left Eritreans in the middle of no where after laying continuously for a plan to depart them soon from Italy(the Lampedusa victims). Since people strated to question him in every meetings DIA pulled him out of this issue and dumped him to continue his victimize the Camels. Camels need a kind herder, just like you. If there is any wrong doings then the camel counts and one day; the revenge is severe. This is what it happened recently. Zemede, the one who betrayed his own community in Italy, can not be honest to himself let alone to the Camels. On the positive side, dear awatista, the Botswana High Court ruled in favor of the players having a legal hearing of their asylum case. Anyways, that was a foregone conclusion because sending Eritreans back to Eritrea is a hot potato no legitimate government would contemplate. Even Israel couldn’t do it. This betrays a rather disturbing reflection of what Eritrea has come to be in the eyes of world community. Surely, this can’t be sustainable! Yeah fire the SOB! Screw him not being able to kick a ball…I like your response best because sports is about winning and bringing honor to your team. The SOB ambassador couldn’t even convey that the entire Eritrean people were these footballers team awaiting yet another honor from their fields of peace Herod NOT Dishonor. Now the Eritrean people would be bent to respect the FieldsofWar Heros who seem not to get they Ain’t good enough to lead PEACE times. Hope and love are important only if they are instilled in ‘action’ otherwise they remain only empty words. What I am saying is that we should act, act act without respite. Otherwise we act and stop and give PFDJ time to recover, regroup, take a different strategy. No! we should act and act till we suffocate the despotic regime to end our misery. For example, Geneva demonstration should have been followed by a more thorough lobbying of NOG’s and political parties, influential people and governments. It was a window of harmony. Instead we were satisfied with magnitude and impact of the demonstration. In fact, after that we find ourselves engaged in discussions on other issues which in an undivided society could have been secondary in our current situation. In short, I am still hopeful that things will work out the way they should – we should make them work out! I am just saying that our pace and procrastination can be dangerous and help our enemy develop immunity. Although the parallel with Syria is not clear, the article’s analysis is very detailed. If they have lost both qualifications matches then this national team will not be playing in the next world cup. So the ten players figure to bail for opportunities abroad perhaps as footballers. Because they may not even make the cut for the national team the next go around. 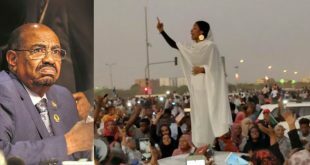 It is an indication though that Eritreans inside Eritrea are in dire needs if 10 are willing to forego their national honor without giving National Honor considerable thought. Something has gone horribly wrong folks. Does this mean when the footballers are singing the national anthem, with hand over heart, “Ertra ab Alem ketrekb kbra” they did’nt mean it? How is this “ktrekb kbra”…The youngsters are no to blame. All the way to the top have failed the young when the young piss on the national anthem. Why is that losers only defect where as winners return home to their country and given hero’s welcome? The footballers lost at home and again lost away from home! Based on the result those players, they were not actually playing as a team, but rather as individuals dreaming to leave the country, so they left when they got the opportunity. In terms publicity, yes they have some cheap publicity against their country. Ten players left but then ten younger players will replace them. One other important news that did not made to Gedab news headline or ‘seber news’ is that the Eritrean delegation to UN that travelled to New York returned home safely. 100% return – Mr. Osman Mahammed Saleh (50% of the delegation – Moslem) and Mr. Yemane Gebreab (50% of the delegation-Christian). Suppose you drop your young kid at their friends home for a play date. You then go back to get them at the end of the play date and your child refuses to go back with you and seeks assistance from other adults and social services to avoid going back with you. How would you feel as a parent? Embarrassed? Concerned? Mad? or try to get excuses to cover up the heart of the matter (like saying your kid had a bad time at the play date and is acting out)? That is just what has happened in this case. I just wrote my simple observation. Losers run away and Winners return to hero’s welcome home. Do you agree or not? don’t complicated things about parents and children play. Hi Haile TG. analogies should never be used as arguments to reach a conclusion, and should never substitute for reason and logic. All analogies break down at a certain level of comparison. It goes like this if i try to advance my assertion by discrediting yours; why would abusive father sends his child to a play date knowing his child rat him out to other adults. I am not arguing they should be repatriated but they should stay(not political) only for the reason they be a victim of retribution for embarrassing their parents/gov. Would you care to point out where the current analogy breaks down? What is the difference between analogy, reason and logic? Hi MV, you only have one chance left to answer comments with questions for this month;-) About analogy, the problem is when one try to prove a point by analogy and instead of defending their point, they get attacked on their analogy in the weak spot( like i tried to do). “There is no analogy ever made that cannot be attacked in a forum, derailed, and be made to discredit the author”. It allows people to escape defending their assertions. Thanks to Haile TG he made his point to the issue in his response (i agree with all) without going to defend his analogy. What is the difference between analogy, reason and logic? i don’t think you can learn much from me. The abusive father had no choice but to bring his child to the play date to keep up appearances. But since you’re not into analogies and dawit likes to keep it simple, let me put it this way: PFDJ had 7 or 8 times to make it better this time. It must have done the mother of all screenings to ensure only those trusted gotten through, it even went as far as recruiting diaspora who wanted to brush up their resume at the expense of local youngsters who should have had the chance. After all that only 4 of the home guys returned under barrages of threat from the filthy mouthed PFDJ ambassador in S.A. (he told Eritreans in S.A to give up their birth citizenship recently – a dirty guy really). That shows you PFDJ is deeply in trouble. It can’t even manage to screen to be certain in its outcome. I almost predicted that instantly when I heard they had return match in Botswana. You better trust your eyes guys, nobody wants to stay. “This isn’t the first time that Eritrean soccer players have used a trip abroad as a means to abscond — in fact, it’s something of a tradition. Six players from the national team defected in Angola in 2007. Two years later, 12 defected in Kenya. Seventeen, along with the team doctor, escaped in Uganda in 2012. All in all, at least 45 members of the national team have defected in recent years — and note, that figure doesn’t include players for local clubs like Red Sea FC, at least 17 of whom have absconded, or athletes who compete in other sports. Quote from today’s Washington Post. As for senior officials staying put, well, in a country where there is no pension plan, no right to resign from a job, where family members are held as hostages with no right of movement, I am sure that is not something to brag about that not all senior officials haven’t left. To remind yourself how extreme the Isaias policy of family-hostage-thing, please remember that Isaias Afwerkis father was able to live in his own country, unmolested by the Derg, even when his son was the most wanted man by Ethiopia. Hsebelu, for your Sunday sermon. dawit’s belief in the PFDJ is almost like a religious faith, a topic over and above debate, so to speak. Hi MN, I honestly don’t believe that people like dawit believe in PFDJ. It’s just a fun game for them to pretend like they support the regime. It’s a great mental exercise to try and defend something so indefensible. You know how like we use to say in Asmara “hilmi derho do kinegreka? ewe. Ewe do yibahal eyu? Ewe yibahal. Ewe yibhal do yibahal eyu…” It’s a fun way of annoying your friends. Exactly what the educated supporters of PFDJ do. I 2nd you on this. I don’t believe a man like dawit really supports PFDJ. I have also said it before. What I think they are just telling us what PFDJ supporters are saying and doing their best to play the role of supporters here in awate. But here something came to my mind “hilmi derho do kinegreka” the reason you brought might be different but I have a poem under the same title. you may enjoy . 01.ይበሃል ዶ ባሃል እወ ብሃል? …ይብሃል ዶ ይ በሃል፡ እወ ይበሃል? …ንሕና ምስ ጠፋእና ድኣ ኣበይ ኣሎ እቲ ዕሸል? Eritrean football squad refusing to go back to their home country. There are many Eritreans who are set to defend the indefensible based on such “nayna eyom” ground. Very funny and thanks. Here’s another explanation “QelAlem”, a Tigrinya word (and a huge Tigrinya culture) of ensuring that in the feud between truth vs pride, pride always wins. It’s QelAlem that allows us to silence our growling stomach, hungry for food, and reject an offer with “hji ab’u nerna”: I just ate. Honest to God. Tkohrmyeni, tchebteni. May I be crunched into a ball if I am lying. Dawit, in the company of people he loves and trusts will say that the path Eritrea is on is unfashionable and something has to change. But in the QelAlem world, he will put up a brave face: onward and forward. What’s scary is not that our gov cheerleaders (Sophia, Ghideon, Elias, etc) live in this QelAlem world. It’s that the whole government hierarchy and culture promotes this “don’t say the truth, say what’s necessary” culture. After enough practice (where everyone lives by the “what if Kbur president can read my thoughts?”) they can’t tell apart between what’s necessary and what is true. Just read Girma Asmeroms response to the Sanctions Committee, and I was beginning to write an article and I visualized 100 asmarino saying in unison “tell us something we don’t know!” and I stopped. Or maybe I will write it. Hey Ethios, is there a word for “QelAlem” in Amharic? In addition to the ቃልዓለም you mentioned there is also this destructive culture of ከብድኻ ሓምሊ ምልኣዮ ዝባንካ ወደቦኻ ኣይርኣዮ. 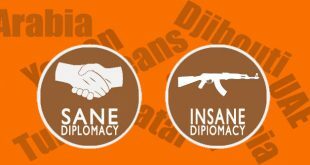 Many Eritreans do understand our main problem is inside Eritrea, but for them opposing or speaking agianst the regime is doing a favor for the so-called external enemies like Woyane, the US, CIA, etc. Isayas is using the typical tactics of dictators of blaming external conspiracies and fearmongerings, and in combination with the inherent culture of the people it is workig well for him. I think a little context is important, when we try to interpret those “sayings”. It’s not only in relevance to food / clothing but many other complicated stuff in life. There are times you need and must exercise such behavior, it’s different for different circumstances. I personally think, the reason our people are not revolting to the atrocities of PFDJ is not because they are afraid to make the “enemy” happy. I think first and for most, is there is lack of co-ordination, lack of organization and lack of leadership at all levels of the society. On top of that, the small resources that we have are divided to make significant change and results. People are people, and our people are no different. As people we may not have experience standing up for our own “individual rights” but for most part we are good at following the “crowd”. Listening to Bitweded Abreha speech from 1997, is really fresh air and I hope he survives his ordeal. That’s the kind of leadership we are missing, who will lead our people to stand up for themselves and in doing so to unite the people for the same cause, which will lead for people to follow and will have the ripple effect. You are touching an important point. Crowd mentality is one of the biggest obstacle. The problem is people are not aware that they are in a crowd mentality. Actually it demands to do one’s own individual homework to be conscious of it. And as it looks like many are not willing to do it by themselves. As you point out correctly a real catalyst like jigna Biweded is needed. Buttered is more dangerous to the government than the G15. I hear you on the QelAlem but I am not sure if QelAlem is Dawit’s reason for not voicing his real/inner opinion outside his circle of people he loves and trusts. My good friend always tells me it is rivalry and I tend to agree with him. For people like Dawit, it is all about power struggle and he will do/say what ever it takes so that his side (“nayna”) stays in power. Same thing applies in the opposition politics. Isn’t “nayna” the old nationalist creed of “my country right or wrong!”? And in sports, staying loyal to your team, even when it is a chronic loser, is supposed to be a sign of good character. I think when QelAlem practiced in its true sense, as our elders meant it, I think it’s a good thing. I hated too when I have to go visited my aunt and I have to tell here, beliA when she offered Shahin Kichan (my most favorite thing). I was listening to the radio the other day, and they were talking about mindfulness and stuff. And in the example, they were talking about how to eat a chocolate very slowly and if you can have the self control to do it. This was nice one. but why you are not posting like before, you are coming seldom. please come always. Save your words,next inline to abscond is the president himself (PIA). If someone can run, bike or is good at soccer, then they get the honors of excusing themselves from national service duties. The sponsorship and other perks come after they succeed not before. You are indirectly disputing the player’s own account that they suffer from acute lack of opportunity and management in Eritrea. The young athlete who won in the Beijing Olympics said that as many before him did. You are implying the PFDJ has a system to foster and produce world class athletes. That is far from the truth. Eritreans are winning inspite of PFDJ and not because of it. So, the answer to your question is that equal opportunity of deprivation applies to all. I understand you view point and in a face value it looks PFDJ is an equal opportunity oppressor, however the reality defies science of statistical & probability where in a mixed ethnic population, the cream of the cream in a society always comes from one single ethnic again and again. How is that possible? What would you say if you are told that only Eritrean Muslim women are conscripts? And Christian women are free from that obligation? Is it only interesting for you to speak about equality when it suits you best? First I would like to express myself that doing things by merit is excellent but considering fairness is something that should not be totally neglected. How is possible in a country more than 55% Muslim no Muslim is in the list. Correct me if I have a mistake this is an open secret that HIGDEF is doing its best to undermine the Muslim society. I think the moderator (Editor) should comment on this issue. This too shall pass. Remember there were Ethiopian players defecting left and right in the past. Now the huge majority don’t even think of it and they do fine in their country even earn a huge amount of money unheard of in other professions. This of course is true as long as they keep their mouth shut about politics and play their ball. So this too shall pass. Running away from Eritrea by any means necessary will be a thing of the past, sooner than later. What you stated is true but their is a major difference, Ethiopia has 100 million people in it…. The number is not lost on me. My comment is focused on wishing for better days in Eritrea where these kinds of issues are forgotten. I get what you are saying but The problem is that the exodus out of Eritrea is becoming existential threat. I dont blame these guys for fleeing the country at the best opportunity they got. Nobody can endure endless misery. The next question is: are these people going to stand against the very government that put them though all this, or are they going to lead their life peacefully away from any politics, or are they going to end up being a ‘koboro jankie’ like many of the defectors before them? I side with the latter scenario . We will see them somewhere , sometime in a state-sponsored event. Mark my words! No doubt, many of these “defectors” would eventually join the “koboro junkies”. How do we explain this, is it lack of political maturity, lack of understanding of rule of law, independent court of law, freedom of speech, freedom of orgnanization, etc? Or is it what they call the Stockholm Syndrom, where the victimised develops certain type of sympathy with their victimiser? Or is the reason for their “defection” mainly economical? Let me weigh in a little here. Their defection is a big slap on the face to PFDJ. But we now have learned that slap after slap PFDJ seems to survive or recover from it. Survive it because the slaps are not being followed by a show stopper strong blow that finishes the job. All is because the youth, all the ambassadors and minister(s) who defect, all the men women that leave the country do not work on a final solution. Instead, they want to be in a safe place where they do not hear or care of the misery they left behind. Most of us seem to forget wherever we go Eritrea will be the only country we originally belong to. We can have any passport of any country, people will ask us were we are originally from. What I am trying to say is if we become honest to ourselves and understand our misery can only end with the end of PFDJ; if we work together in harmony and give it a final push we can win. Otherwise I don’t think we (Eritreans as people of one nation) can survive this the way we are going about it. That is very true. The regime has hit a brick wall and is really headed to eventual demise. As the independence fervor that glued the society together fades to distant memory, the people are at a loss to find a pragmatic national vision that would inspire national mobilization. That is really the crux of the matter and as you say the current situation is unsustainable. In terms of their fair share for the struggle against the regime, intentionally or otherwise, they have done the maximum contribution already. They have exposed the regime for what it is on the international stage. 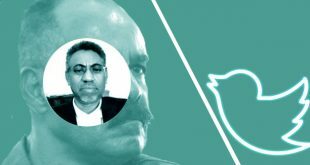 Beyond that whether they join PFDJ or Justice camp as 10 individuals, it is really not as decisively significant matter as such. Normally, one hopes they find a good place to settle down and re-start their lives away from the digging, giffa, wardia, agelglot, prison and the likes. And, hopefully such would lead them to be in a position to realize their dreams and ambitions as free human beings doing whatever they feel like doing. PFDJ functions are ghost events nowadays. They attract mostly embassy staff and their extended family members. Still, the players have not only gained their freedom but also inflicted much more damage on the regime than any individual 10 justice seekers would hope to do alone. Having said all that, Ayneta does have a good point though. So many go through a lot of life threatening journeys and they end up having to fill out nay taesa wereket and directly or indirectly support the regime. At the very worst, these 10 athletes should boycott PFDJ altogether. At best, they could become activists. Congrats for making it out of enslavement; welcome to the world of free people. But where is the other half of Eritrea’s population; I don’t see even a single moslem name among the players? I don’t understand; you seem to agree with my question by your “good catch”, but then you come with something strange like “Eritrean moslems are busy learning/studying the language of ISIS…”. My question was an honest one trying to shade light into the increasing gap between sections of our society under the PFDJ. HI Abrhame H, strange is understatement if you don’t know him. Now and then you see his true colors emerge. He is one of the many terrible Eritreans under the banner of justice seeker. Do you think it’s a joke? Sorry, sometimes my humor is bad. Both of you are the sharpest and most careful commenters readers here and I would imagine that your remember in the debate of Arabic dawit called it is the language of ISIS and Maekebay called Mahmuday and in effect all lowlander camel herders, Sarcasm is based on stretching facts and that is what I did. Hi Semere, there is no doubt you are being sarcastic. I just want people to detaste you not only for your bad jokes but also politics( Weyane lacky). But seriously, In the house of PFDJ, the self professed defendant of social justice, to have this kind of dispensary in Muslim population participation is worrying. I am not sure if you remember a few years ago there is a group called the Majils and they came up with this discrepancies in all PFDJ/GoE departments. Hi Semere, i suggest Awatians should risk being called islamist and send balls and jersey to Methat schools. An old English man as part of his charitable action used to buy goats through charitable organizations for poor African families and his idea was rather than given them money, a goat would help them support themselves. The idea must have been from the “don’t give me a fish, teach me to fish” concept and goats are not good replacement of that. My response was to say poor family, it must be difficult to look after their children, you adding a goat as well, of-course jokingly. You say “balls and jersey”, mesakin sidra zellowom shigir kayAkhlom, nay haddish chamma, nay shanful da bello deqom hikot kigebrulom delikha. What is needed is freedom in the country and things will sort out slowly. Each region of Eritrea has children in the Diaspora who will be happy to help, is not only the YPFDJ who are passionate, but the regime that suffocating the whole nation must give away. That is all what many are looking for, a country open to receive its children without the fear of being arrested and disappearing into the unknown. Ok, I get it now. May be I was not in a good mood myself ….. So we should introduce quota based on religion now? Actually we should get players from all 9 tribes. Hade lbi, Hade hzbi, 9 biherat in action. No I’m not asking for quota system, football, like any professional sport dependens on skill. But the absence of a single muslim in the national football team that comes from a country with 50% muslims is not natural. It only shows the increasingly unfair share of opportunities and development within the Eritrean population under the PFDJ rule. It does not fare well for future peaceful co-existence between the communities. Congratulation to the team for making it out of the hell called Eritrea, no, I mean PFDJ’s Eritrea. It appears the Isaias Afwerki regime hasn’t gotten over the hump, as the Red Sea Camels joined the caravan out of Eritrea: some to a nomadic life and treks in the desert, some to their settled lives in the West: but none except the handlers, themselves hostages, returning to Eritrea. This of course will not initiate an honest conversation within the Isaiasist camp; random people in random places will be accused: Elsa, Meron, opposition, CIA, the full moon…. Botswana’s democracy intervened. No Sudanese court, for example, would have stopped the deportation. Standard PFDJ procedure will follow to solve the problem. Disband the national team and freeze outside matches for several years. “Human right advocacy”, “human smuggling”, and “human trafficking” mean different things but because they all have the word “human” in them, the Isaiasists use them interchangeably. Are you sure this is a true story? Never heard about this before in ERiTV. Are you sure there was no representative from Aba Mussie camp trying to save this footballers from drowning at lake Botswana? Any how this is an improvement over past record only 10 players defected, 42% defection rate compared to 100%. That is a good trend, soon it will reach to zero. I also would like to congratulate Gedab News for breaking this seber news about Eritrean Sports news, better than nothing! Yes according to “dawitamterics” this is improvement, the 100% defection was from sample of 100% enslaved players, this percentage is 42% rate is including the sample that contains diaspora players, those who do go to Eritrea for entertainment. So still the defection rate is almost 100%. Still number one even with the 42% rate. According to you, if it’s not reported by EriTV it’s not true. I noticed now you are going after the “losers”. Does this mean EriTV reported it or have you re-defined the meaning of truth? I guess you missed the joke part of the sentence. If you remember PIA was asked by Al-gezeera reporter about the missing footballer, and his answer was ‘never heard about them’ it was news to him that he just heard from the journalist. Surprised that. I don’t know how you missed that. If ERITV did not report it, then that is not a true story! 3. Therefore, when Reuters, Washington Post, awate, Tesfa News, Botswana paper report it happened, they are all lying. Right? I gave up, either I am not good jock teller or you are unable to recognize a jock!. Yes if Eritv did not report it then it is not a ‘True Story’. Who cares about Reuters, BBC and Washington Post. We know they always or habitually fabricate false news about Eritrea, how do you expect us to trust them if they are telling the truth or falsify the news. When they start telling the true picture of Eritrea, then we are going to trust them. Who knows may be all the players have returned to Eritrea. 2. The boss of Eri-TV, Yemane Gebremeskel, tweeting mostly to the diaspora, acknowledges it happened but blames everybody except the policies of his government. So, no way, what does Dawit believe? What is truth? Most likely the truth is that some Eritrean opposition group called Eritrean Movement for Democracy and Human Rights (EMDHR) hired by Ethiopia or CoIE funding approaches these young footballers with a promise of political asylums in the west, where they could get free IPods and Jordan sneakers for free. In actuality these young people are kidnapped by these group to score cheap publicity to stain the good name of Eritrea. The ultimate losers are these young people separated from their country and families. They are going to spend years in a limbo till they get asylum first in Botswana and then beg for some resettlement in Europe, America or Australia, where they will end up as parking lot attendants, or dish washers and may never play football. That is the TRUTH! Are you saying Menge is a German? If you remember EtTv he was the only one laughing at last. Just kidding. He was waitingi for the translation . He didn’t have in-built translator. If you don’t get the joke check your Aman side. Hi Semere, mark their face in case they happen to be kebero junkies 🙂 Don’t you think the able people leaving be a loss for justice seekers.